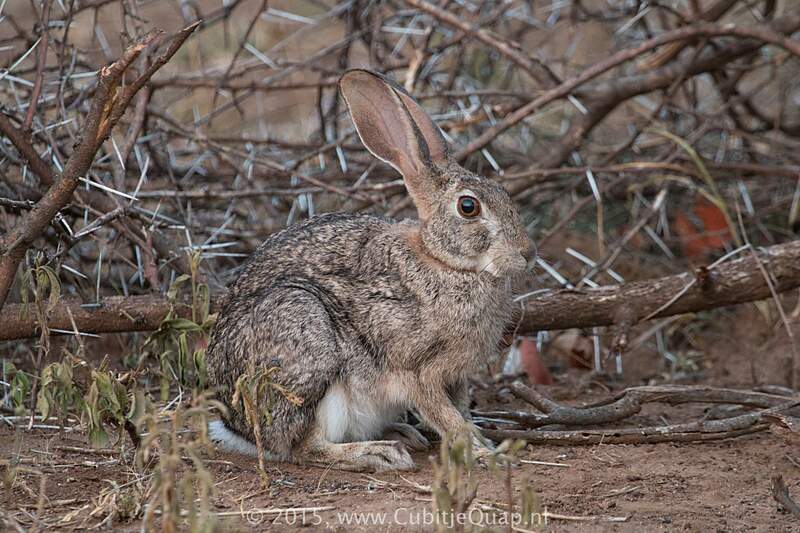 Considerable variety in size from area to area, generally larger than cape hare. 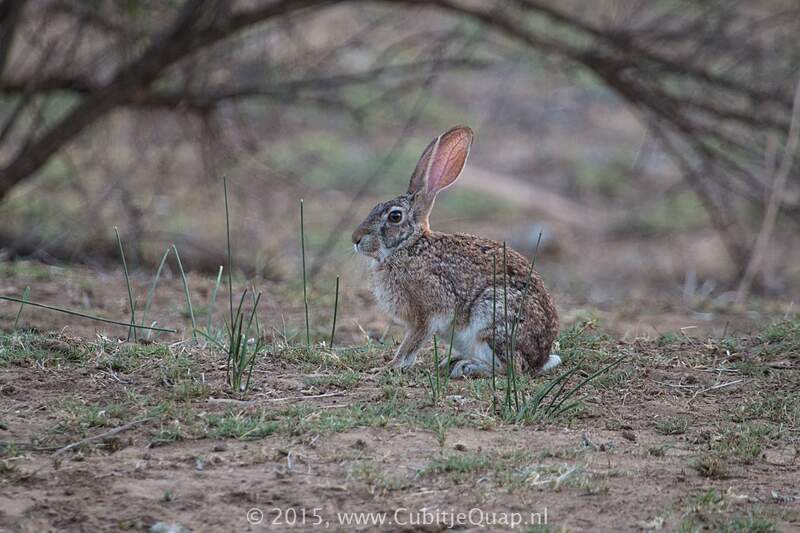 Long ears, hindlegs are much longer than forelegs. Tail short and fluffy. 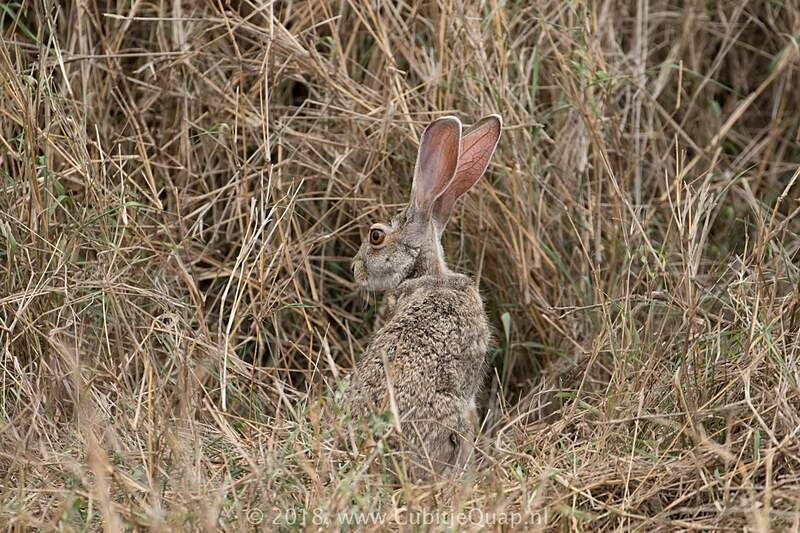 Scrub hare has black flecked upperparts varying from brown-grey to grey. Underparts are white throughout. Facial colouring is whitish of buf on the side of the face and around the eyes. 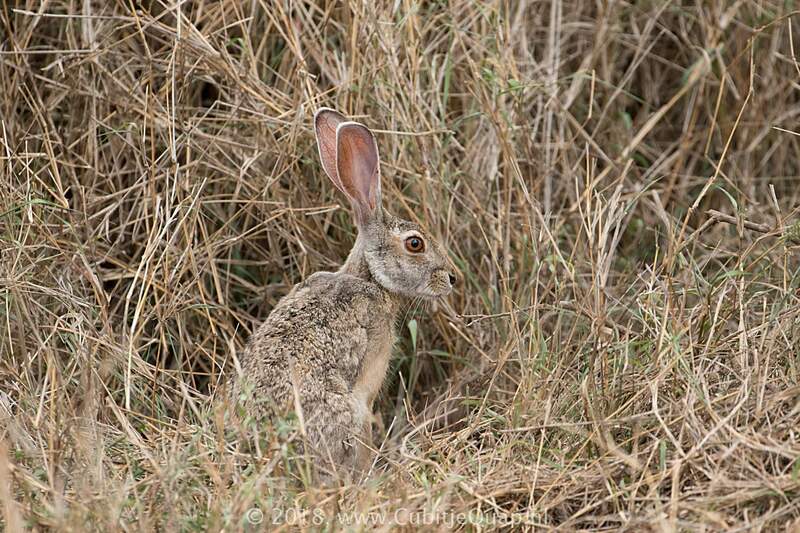 Commonly seen in cultivated areas, but rarely shows itself in open grassland. Nocturnal, but some early morning and late afternoon activity may occur. Lies up in shallow indentations in the ground. Usually relies on camouflage when approached, only getting up and running off in the last minute. Normally zigzag, often at high speed. Predominantly grazing, but will feed on other plants.